A family that is traveling together has a lot of special needs. It doesn’t take much effort to stock things like electric socket protectors, cribs, strollers and even baby suntan lotion. You could go so far as to set up designated family-friendly rooms with bunk beds. Passing out coloring books a check in is also a good idea to keep the little ones happy. Not every room in your hotel would be considered a suite. Acknowledge that you have some unique spaces that might be smaller or have obstructed views. 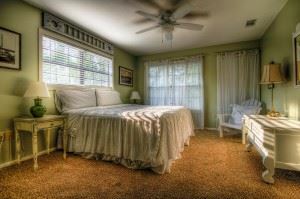 These are the kinds of rooms that can be offered with a lower price. As long as a guest knows up front what they’re paying for, then they won’t be upset. Your hotel might not have a gym but there is probably a gym in the neighborhood. Your guest would appreciate free passes to the gym or spa. They could also be a lot of businesses that will be happy to provide discounts to guests. Be sure to check out any local attractions that would be happy to drum up some extra business by providing passes. Although your guests might not be spending a lot of time in the hotel room, when they are there they want to feel like they’re at home. That often means a lot of TV options. Every room should have a flatscreen HDTV. You should provide a wide range of channels for their viewing pleasure. If you can install a DVD player, then you should also have a DVD library in the lobby. None of this is going to be an exorbitant amount when you consider the return on the investment in the form of positive reviews. Hotels have a way of stockpiling rubbish. Mattresses, furniture, rugs, drapes and all kinds of other debris can cause a lot of clutter throughout the property. You would be well served by bringing in Junk King Chattanooga for fast removal. These are professional junk haulers who have a lot of experience with this type of clean up. There to provide you with a great team of movers that do all the heavy lifting for you. One session with Junk King Chattanooga will have your hotel clear of debris in no time at all. This entry was posted in Chattanooga Junk Removal and tagged Chattanooga, clutter, hotel, Junk King, junk removal on July 24, 2017 by Junk King. Last updated July 24, 2017 .